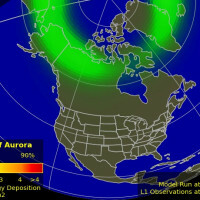 A large coronal hole is turning toward Earth. Solar wind flowing from the structure should reach our planet by Sept. 28-29. Credit: NASA/SDO. 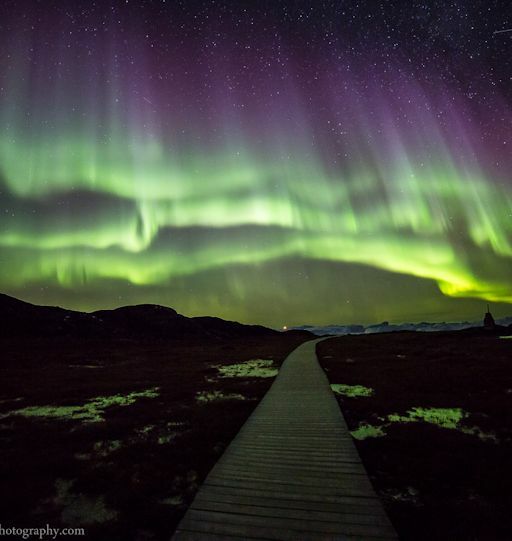 "What a night in Ilulissat, Greenland," says photographer Rayann Elzein. " These were some of the best auroras that I have ever seen! I dont see how this show could be outperformed. Well, let's wait and find out tonight!" 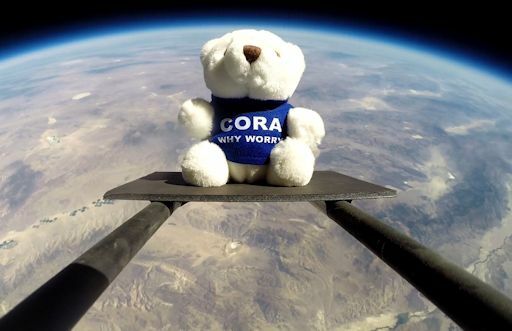 Allow us to introduce you to Cora, the mascot of Cora Refining, a small company refining precious metals for the dental industry since 1976. 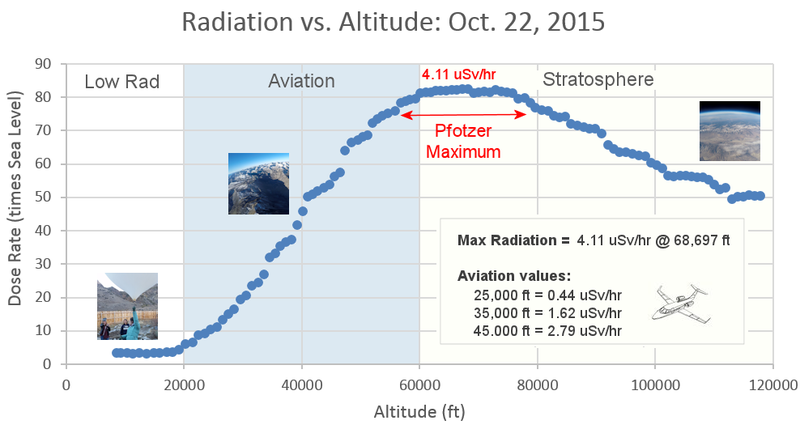 Their generous donation of $750 paid for all the supplies necessary to launch our radiation sensors to the stratosphere. 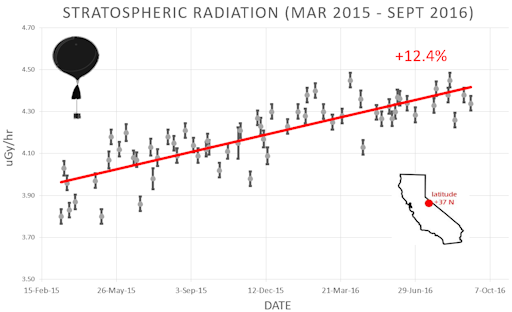 Those Sept. 17th data have just been added to the "Cosmic Rays in the Atmosphere" section of Spaceweather.com, below. Thanks, Cora! 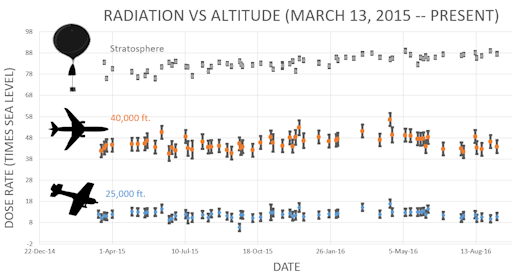 Readers, if you would like to contribute to our growing body of knowledge about atmospheric radiation and see your mascot, photo or logo at the edge of space, please contact Dr. Tony Phillips to sponsor a flight. Sponsorships are currently available for flights scheduled on Oct. 7th, Oct. 18th, and Oct. 27th. "It's the spout of a whale," she explains. 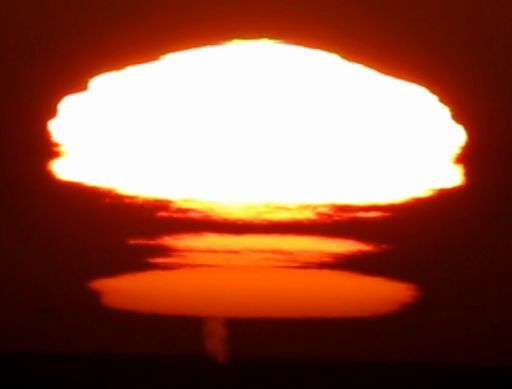 In the complete video she recorded, multiple spouts can be seen grazing the bottom of the miraged sun. "Of course the sunset was unusual not because of whales, but because of some very complex temperature inversions in the atmosphere. 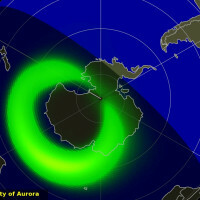 While the lowest sun was setting, producing green flashes, the upper suns were not in a hurry to leave. They kept disappearing and reappearing." Just another evening on the California coast.... Turn up the volume and watch it again. 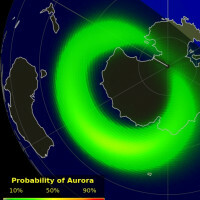 On Sep. 27, 2016, the network reported 37 fireballs. On September 27, 2016 there were potentially hazardous asteroids.